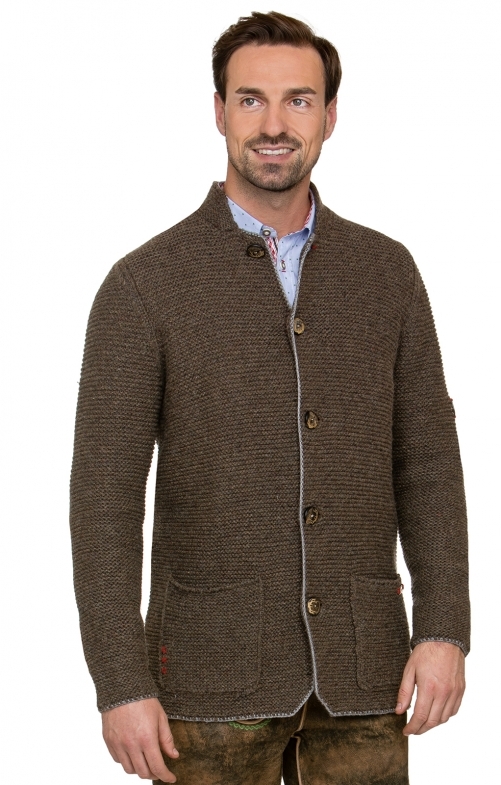 Traditional sweater Mason for men by Stockerpoint in tobacco. The jacket receives traditional accents through the mottled, high-quality wool blend. The rustic, distinctive "left-left" knit look, the patch pockets as well as the contrasting edges complete the overall picture. The genuine buffalo horn buttons are lasered with a stately deer antler and set a modern touch. The fashionable jacket inspires jeans as well as traditional leather trousers.